Obtaining the many rewards that consulting services can generate requires smarts, flexibility, and a first-rate approach to walking the, at times, fine line of objectivity. As leading CAEs emphasize, the balance between performing advisory work in addition to fulfilling assurance responsibilities requires careful attention and ongoing consideration. 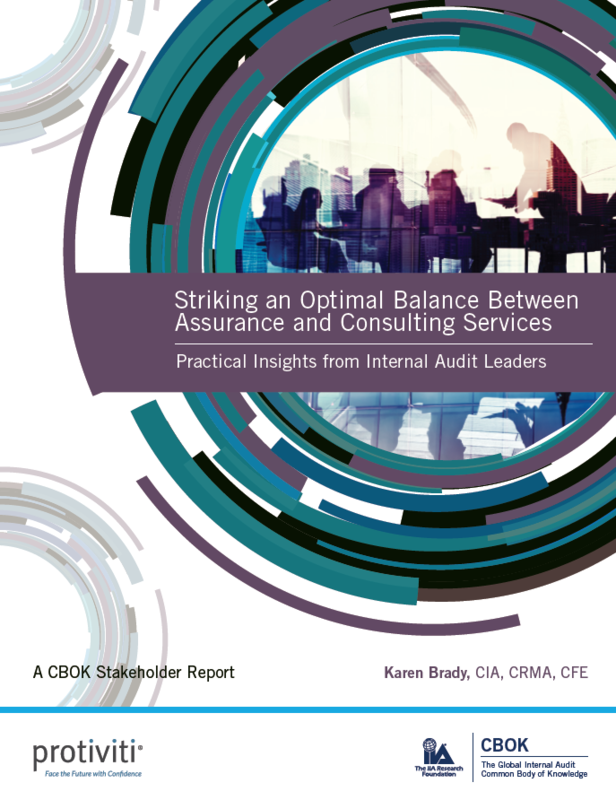 The report addresses what it means to provide consulting, compliance, and assurance services as an internal audit professional, what is the right balance, and how to pursue it in the right way within an organization without owning management’s responsibilities.